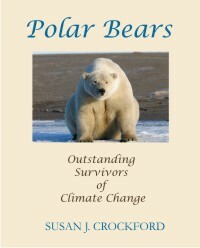 Zoologist and author Dr Susan Crockford says polar bears have continued to increase their numbers since sea ice levels have decreased, with the current population hovering at about 39,000. This figure is a rise from an estimated 5,000 to 15,000 in the 1960s, and 25,000 in 1993, meaning a 50 per cent growth over the past 25 years. 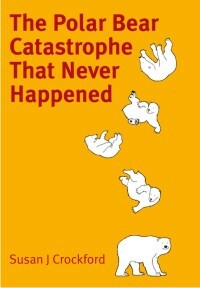 Dr Crockford says this shows that global warming activists and experts were wrong in their predictions for the vulnerable species. Dr Crockford says the hunting ban on polar bears has helped the species multiply, and that bears are stronger at swimming, finding food and relocation than experts ‘gave them credit for’. 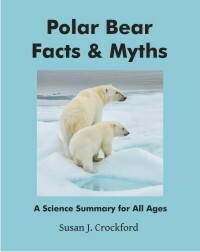 This entry was posted in Book review, Polar bear attacks, Population, Sea ice habitat, Summary and tagged book, catastrophe, estimates, interview, media, numbers, podcast, polar bear, population, predictions, sea ice, TV. Bookmark the permalink.